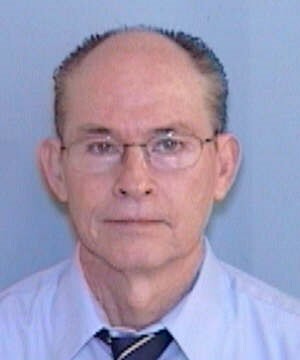 A Moore County psychiatrist was arrested today following a six month investigation conducted by the Moore County Sheriff’s Office and the State Bureau of Investigation. Doctor Olin Mackay Fox, 60, of Pinehurst was indicted Monday, by a Moore County Grand Jury on six felony counts of Obtaining a Controlled Substance by Fraud, four felony counts of Conspiracy to Obtain a Controlled Substance by Fraud and two felony counts of Insurance Fraud. The indictment issued Monday, alleges that Dr. Fox, while on staff at Carolina Behavioral Care located in Pinehurst, misused his authority as a physician and self-prescribed himself the controlled substance Ambien. As listed in Monday’s indictment, Dr. Fox prescribed his wife, Denise Fox, multiple controlled substances including Ambien, Temazepam, Lorazepam and Lunesta. Dr. Fox also provided controlled substances to his step son, David Etchison. A legitimate doctor patient relationship was not found between Dr. Fox, Denise Fox and David Etchison. The illegal prescription activity took place for approximately three years and involved over 5,200 dosage units of prescription drugs being diverted. Dr. Fox and Denise Fox utilized their private insurance to pay for these fraudulent prescriptions which resulted in a cost $14,242.44. A public file concerning Dr. Fox and these allegations was issued by the North Carolina Medical Board earlier this year and is accessible on the Board’s website. Dr. Fox was arrested today and issued a $50,000 secured bond before being placed into custody at the Moore County Jail in Carthage. The joint investigation initiated by the Moore County Sheriff’s Office and the SBI is ongoing and additional information is being reviewed.